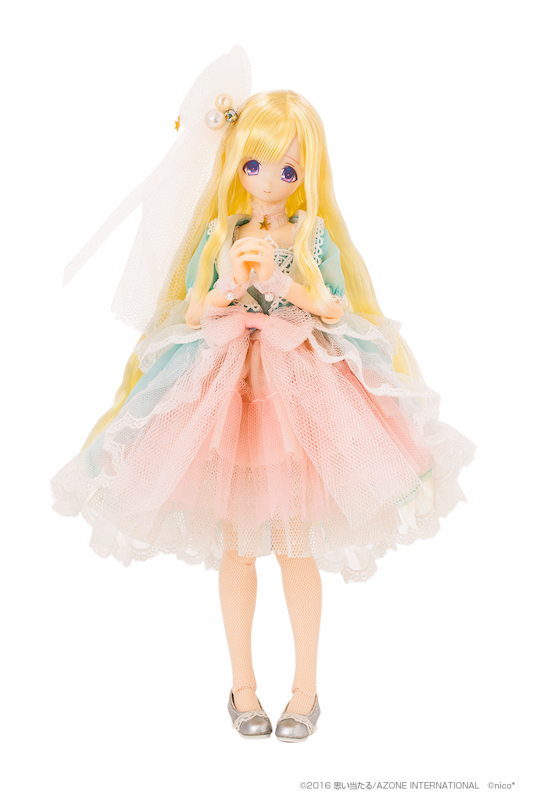 June 2016 Azone International released the super popular & quick selling Mermaid Princess Minami. Due to her popularity, Azone International has decided to create 2 alternative versions of the EX-Cute teacher. 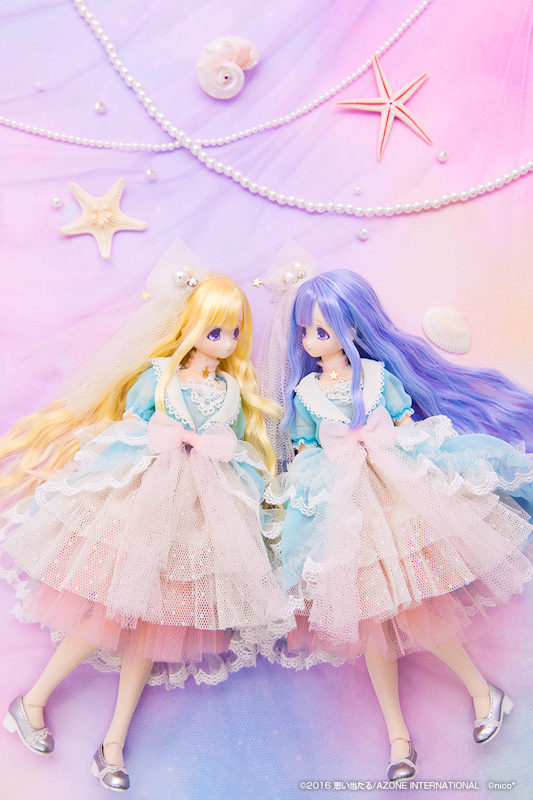 These 2 beautiful Mermaid Minamis will go on sale November 26, 2016 and on November 29, 2016. But before you get too excited please note that both girls are Azone Direct Store limited. You can only buy these Minamis from Azone's Labelshops or with a proxy service. I can tell you that a few expletives flew from my mouth when I learned about the girls being exclusive. The Fairyland series features designers who transform the EX-Cute characters into stunning fairy-tale dolls. 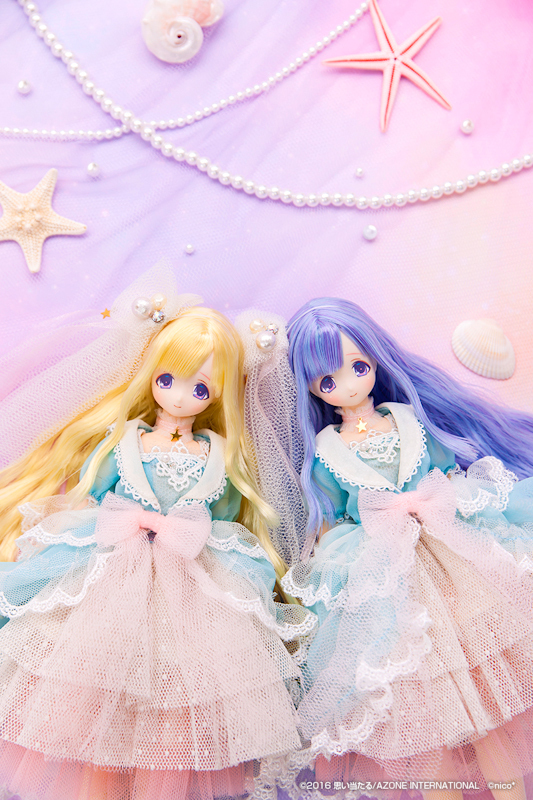 And like the previous Minami, Nico* is the designer for these Mermaid Minamis as well. Long, long ago, a mermaid princess who was magically given legs lived happily as a teacher at a school atop a hill. Meanwhile, each and every night her elder sisters fretted over her, the princess who swam to the surface of the moonlit sea and walked on land. One day, her elder sisters were whispering and giggling among themselves in the palace at the bottom of the sea. "Say, why don't we pay our little sister a visit?" "Let's go to the school on the hill!" With long flowing hair colored a deep coral blue and a dazzling pearlescent gold, her elder sisters swam toward the surface as if they were dancing. 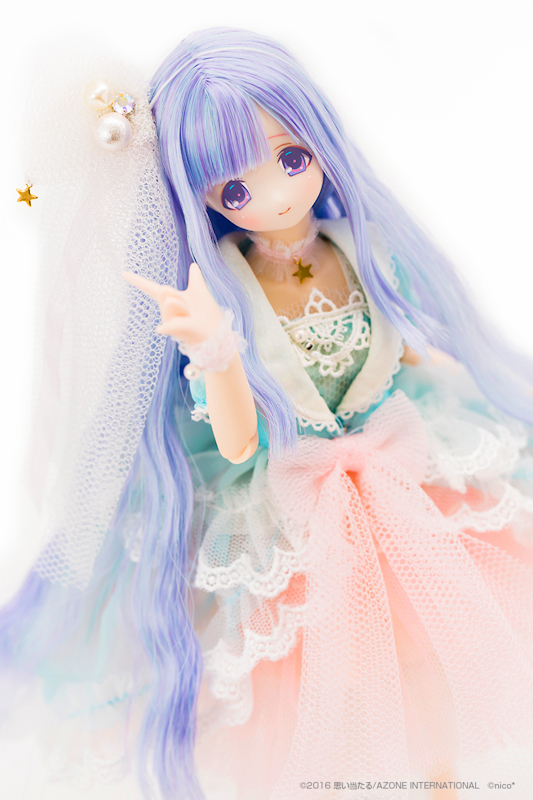 I'm so madly in love with Mermaid Princess Minami - Blue Lagoon. It actually hurts how much I want to get this lovely girl. And that sweet story doesn't help either. 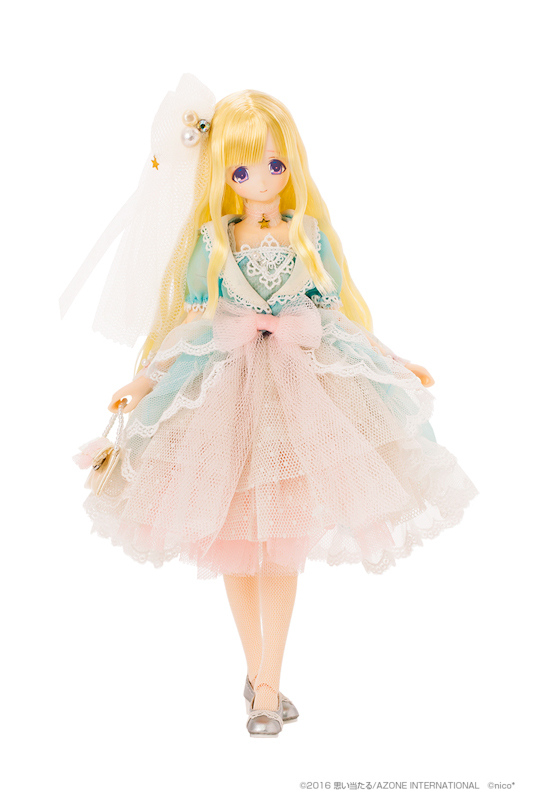 Did the announcement of Mermaid Princess Minami - Golden Pearl and Mermaid Princess Minami Blue Lagoon surprise you? Will you find a way to add them to your collection or are you thankful that both girls are exclusive? Please add your voice to the discussion by leaving a comment below. 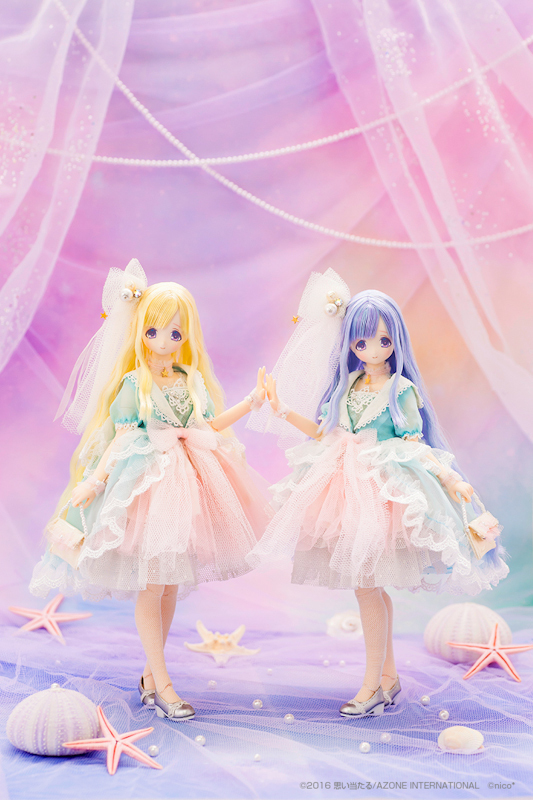 I’m maybe forom an other space because I’m not that excited with this two versions of Princess Mermaid Minami… Does Azone want to do the same as Groove with recoloring some of their popular doll or what? XD The Little Wolf Koron and now Minami! 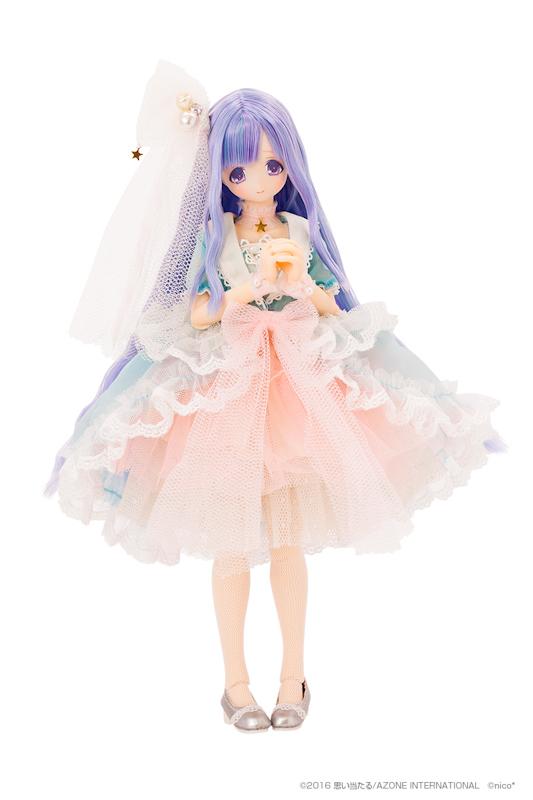 Even if the blue lagoon version is really pretty I’m not going to search desesperately for her because beside the hair color… well it’s the same clothes as the original Minami :S Nothing has changed. She is not as “true” as the first one. Since I already got the first version of Minami I prefer saving my money for “Dorothy” Himeno or Snow Queen Mia. I hope Azone is not falling into the “Groove Trap” and recoloring popular dolls. As I was telling another commenter, I’m getting to the point that if I hear or read the word shop exclusive one more time . . . I’ll probably go crazy! Enough already . . . we get it. I am curious to know how many of Azone’s fans were demanding another run of Minami? I can understand Azone wanting to make their fans happy but I think that’s a slippery slope. You run the risk of pleasing a few while disappointing many loyal fans. 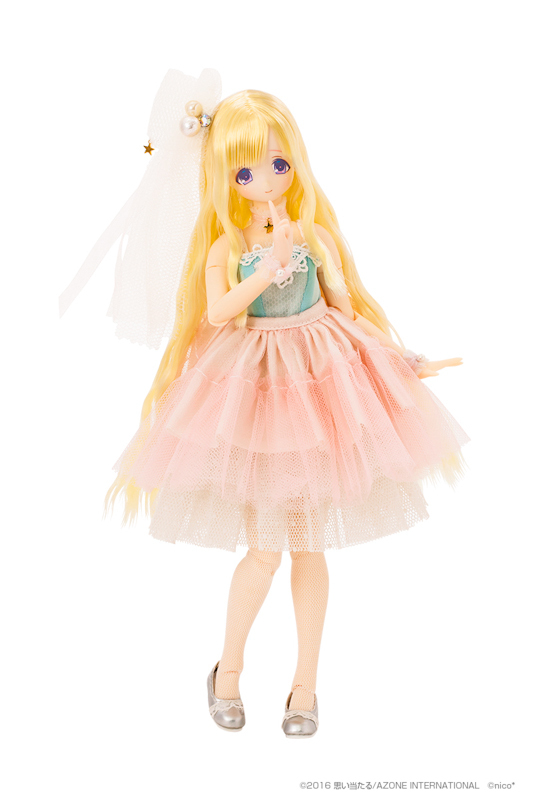 Ringo from Azone International recently shared a sneak peak image of Himeno. I’m sure they’ll announce her before we know it. 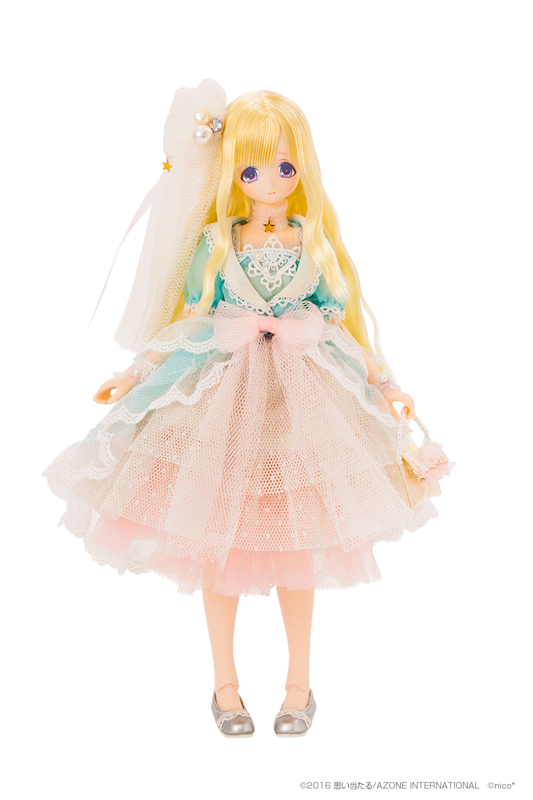 Thank you for sharing your opinion about Mermaid Princess Minami Golden Pearl & Blue Lagoon by Azone International. isn’t that himeno the Wizard of Oz himeno? 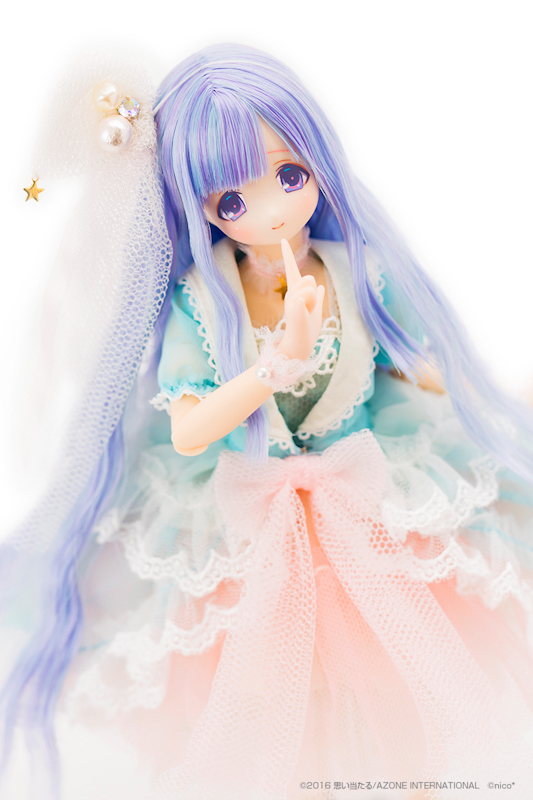 If its the same doll …I remember …they had full images of her one the japanese twitter accounts a while back. Yes, we were talking about the Wizard of Oz Himeno. Exciting! Do you happen to remember which twitter account you saw the images on? Ringo at Azone keeps teasing us with images/text about Himeno’s announcement. I wonder if they’ll announce her this month? 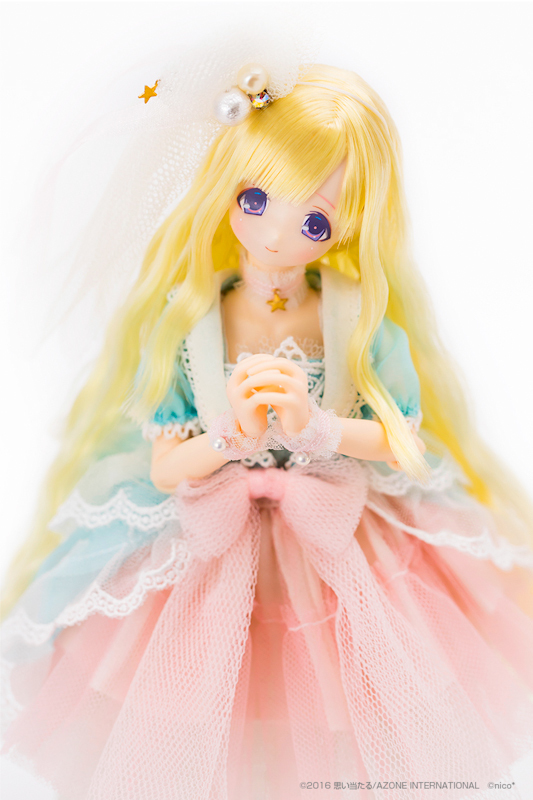 I think these new versions of Mermaid Princess Minami are quite cute but something about them feels quite off to me. I guess I don’t like how their hair color contrasts with their outfits. I was dissapointed that they would have at least recolored it but…. actually I was hoping for there to be a limited version of Mermaid Princess Minami but with her mermaid tail and top, like in the cute drawing on the box art! Personally I don’t like her with the white skin so much, I felt that the more orange and slightly darker natural skin she had looked very pretty, but its just personal preference. Speaking of which, I would love to see an Azone doll with dark skin, I think it would be lovely if there was more variety with Azone’s skin tones! 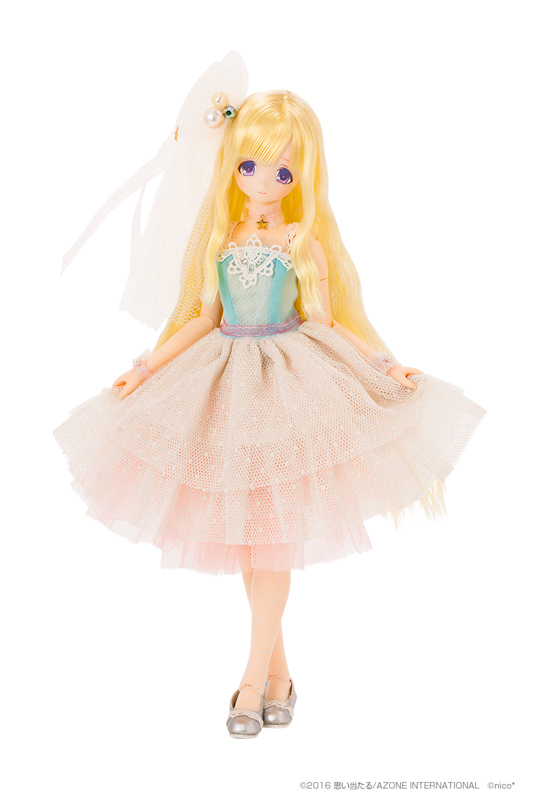 However, I am glad that Azone released this version since I know she was a popular doll and that her original version is very hard to get (I’m lucky that I was able to find her on Japnese Amazon via Zenmarket.jp), so I hope this release makes her fans happy! Congrats on getting the original Mermaid Princess Minami. I notice others share the same feelings as you about the color contrast but their concerns were with the eyes & hair color. I don’t particularly like tulle, only in small doses. So I will certainly be changing Minami Blue Lagoon’s outfit (if I get her). I remember reading on a BJD site that dark skin tones are a challenge to create correctly. 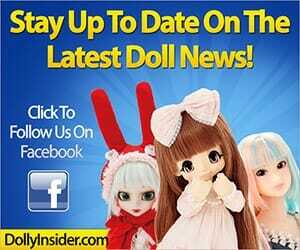 Not sure if the same issues occur with non-resin dolls. Who knows, maybe someday Azone will attempt the dark skin tone. I hadn’t heard of Zenmarket.jp before. How was your shopping experience with the site? 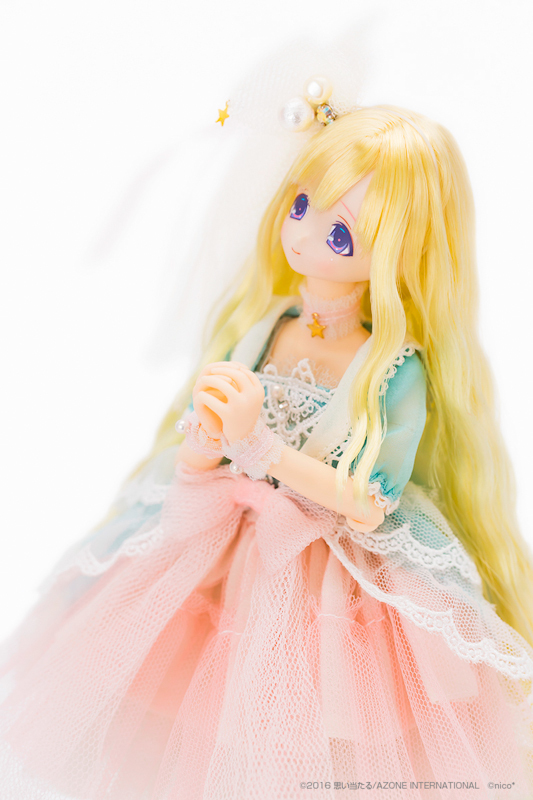 Thanks for stopping by and adding your voice to the Mermaid Princess Minami Golden Pearl & Blue Lagoon discussion. Thank you! 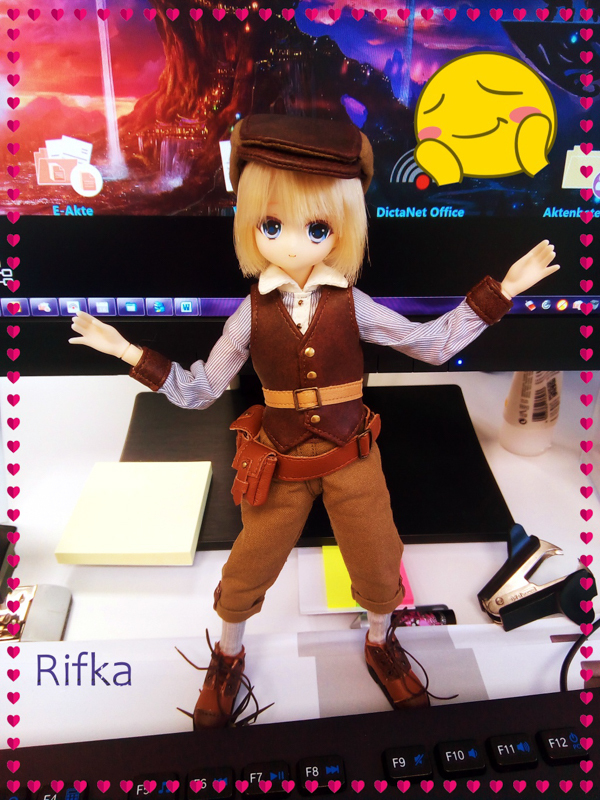 She is definitely a lovely doll and I have no regrets on my purchase of her! Azone’s quality is impeccable. I can see why other fans would be upset about the eye and hair contrast, its very bright and sudden, and in terms of character design, I would say it wasn’t the best choice. However, the fact that there wasn’t an attempt to recolor the outfit is quite disappointing since it would at least help balance the contrast and improve the color scheme. 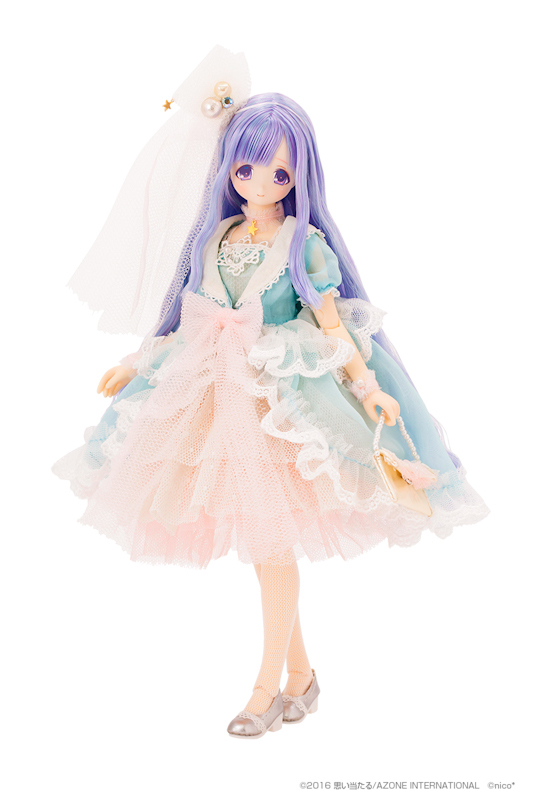 If you get Mermaid Princess Minami Blue Lagoon, I would love to see pictures of her new outfit! I’m sure she would look very cute with a new dress! 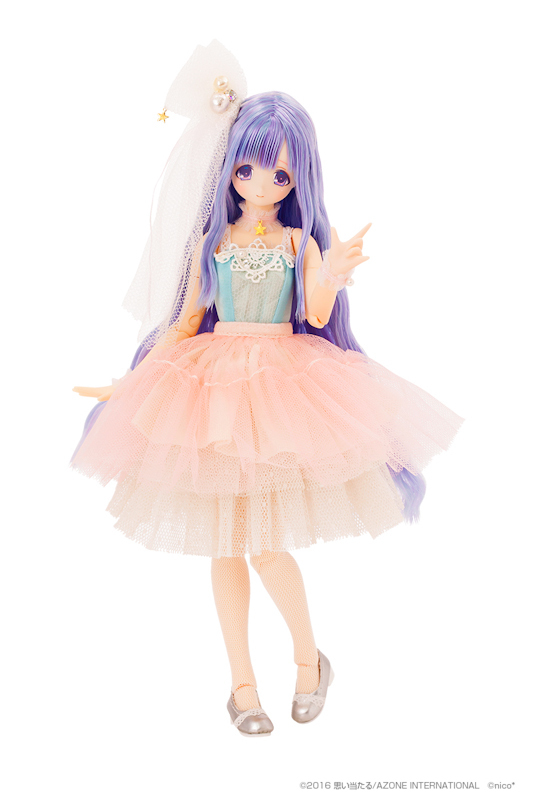 Although I really love her original outfit, I understand your opinion about the tulle since it is quite over bearing. I definitely agree the Minami’s mermaid drawing is super cute! The artist Nico (their(I don’t know the pronouns Nico uses, so I will use they/them) twitter is @nicotatsuta) art style is very cute! I love the way they draw eyes especially, its so pretty! The collectors who submitted images to the Dolly Says Hi Gallery inspired me to get my camera out & start taking photos. I hope to get started taking photos after the holidays. I was browsing on Amazon.jp recently and saw a few items that I would love to get. I’ll certainly give Zenmarket.jp a try. It looks like Zenmarket.jp has reasonable rates. I visited their site and it seems easy to navigate. Fees were one reason why I hesitate when using proxy services. Sometimes it looks like you end up paying more in fees with some services. Thank you for taking the time to tell us about your shopping experience with Zenmarket.jp. Oh my gosh! This is really amazing. I’m very tempted by Blue Lagoon, though I really wish their clothes weren’t the exact same. 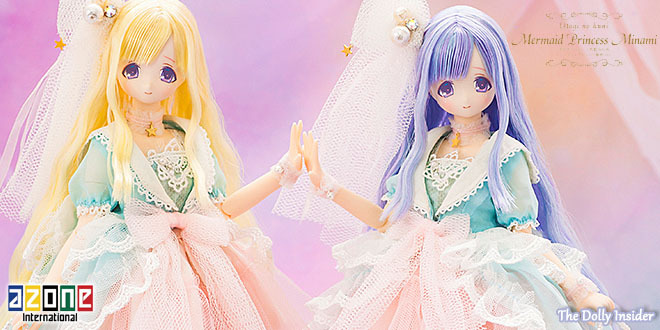 Sort of hard to justify getting a doll when the clothes are the exact same and the doll is simply a palette swap, haha. Yeah, I don’t fancy the outfit (I’m not a tulle gal). So I will definitely be swapping out the outfit for something different (if I get her). 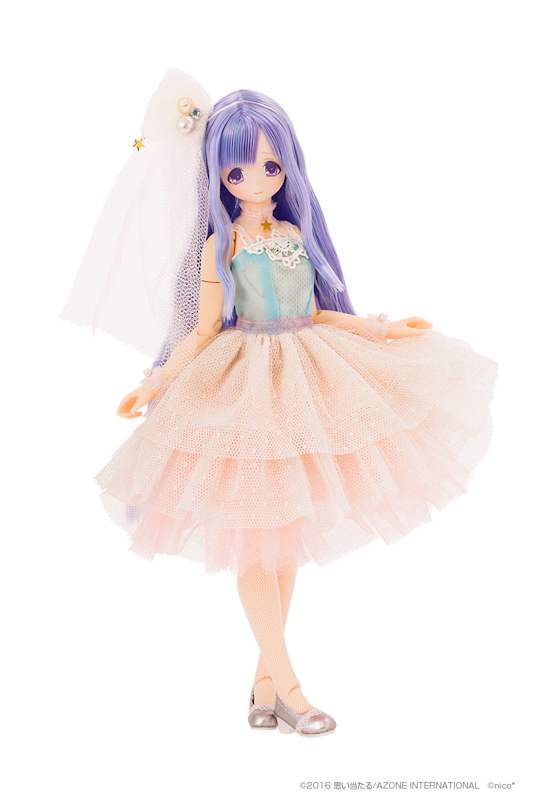 I only want her for her hair (that sounded twisted) & to have the lovely Minami finally in my collection. I appreciate you taking the time to add your voice to the Mermaid Princess Minami Golden Pearl & Mermaid Princess Minami Blue Lagoon discussion. …and yet another exclusive. I did get excited for all of 30 seconds and then I read on. I really like the version with the blue/purple hair too. I can see why you like her and why you were disappointed that she was an exclusive. Something is going on with the companies over there. It’s a conspiracy. 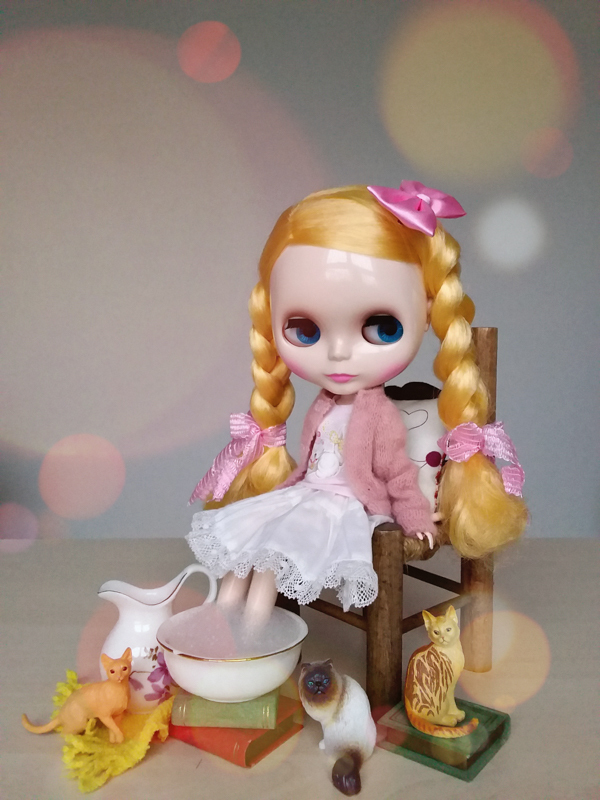 The sheer number of exclusive dolls this year has really staggered me and there have been some beauties. Has it always been like this with these companies or is this something new? I haven’t been collecting Azone dolls (or Momokodoll) for that long so I’m really curious about this. It’s getting a little bit exasperating. We’ve noticed an increase in exclusive dolls this year. I think this is a new trend (hopefully temporary). Both companies always offered exclusive dolls but this year the amount has been surprisingly high. I don’t know if it a conspiracy (though it certainly feels like it at times) or what. I’m like you, it’s getting a bit old & I’m growing a bit tired of the word Exclusive. I really really Want the blue lagona version!!! Is the first time I Want a doll so much and sue is limited 🙁 What proxy do You know? I contacted the proxy service White Rabbit Express back in April. I asked them if they were able to order from Azone’s online shop? My usual proxy service, From Japan, stated they couldn’t order from the online store due to restrictions. White Rabbit Express informed me that since they were a smaller company they had no issues ordering from Azone. I personally haven’t used White Rabbit Express’s services, yet. (the item I wanted sold out). They did state that if an item is popular they may not be able to order it but your money will be refunded. However White Rabbit Express does offer in store pick up & they may have better success there. But they charge their regular fee plus per hour of travel & traveling expenses. 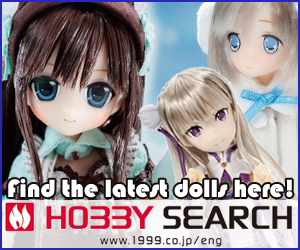 I remain on the hunt for more proxy services who can order from Azone’s online store and doll show events. There’s also eBay but the prices for the exclusive dolls are much higher. Best of luck getting Blue Lagoon. 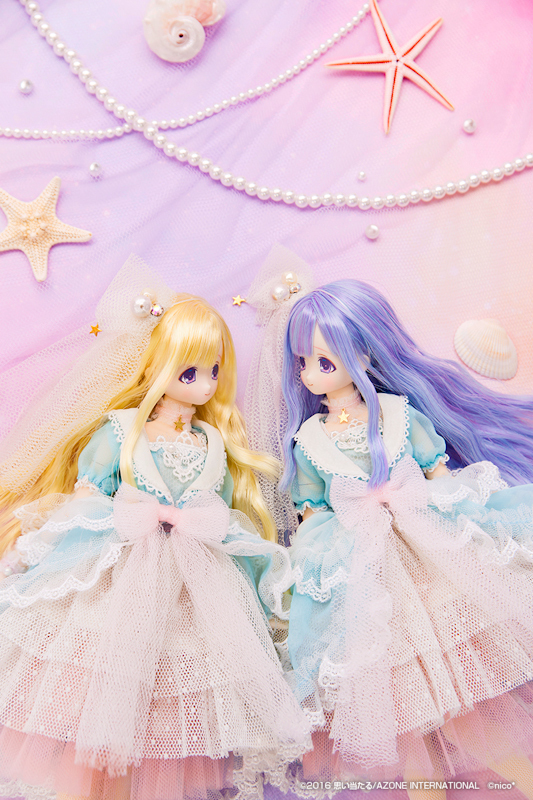 Thanks for taking the time to add your voice to the Mermaid Princess Minami Golden Pearl & Mermaid Princess Minami Blue Lagoon chat. Congratulations!! I look forward to seeing photos of your lovely girl. Is this the same custom doll party from eBay ? Their listings pop up often when I’m searching for Azone items. How was your shopping experience with them? Michela we are so happy for you. We can’t wait to Say Hi! to your Minami. Thanks for allowing us to share in your exciting moment. Yes is tue same custom doll party of ebay, you can contact him also on Facebook, I love buy from custom doll party is very kind and ship with ems very soon:) if you want a doll ask him also the price is great! Thank you for coming back and sharing your shopping experience with Custom Doll Party. I will certainly keep him in mind. They are so beautiful! I love them as a pairing, too. If you get the blue lagoon one, I’d love to see more pics! I’m surprise to see Azone offer 2 versions of Minami this time around. 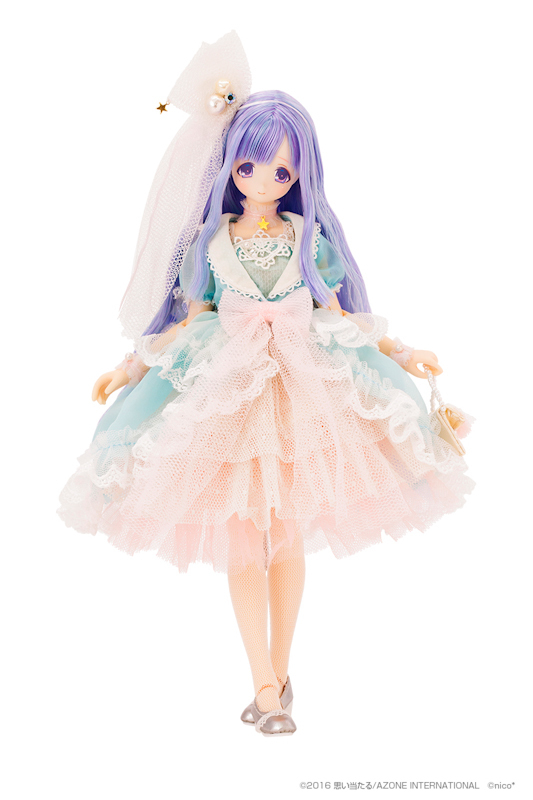 I am trying to find a way to bring the Blue Lagoon Minami home. If I’m able to get her I will post pics. Thank you for adding your voice to the Mermaid Princess Minami Golden Pearl & Blue Lagoon chat.